Item # 143913 Stash Points: 9,995 (?) This is the number of points you get in The Zumiez Stash for purchasing this item. Stash points are redeemable for exclusive rewards only available to Zumiez Stash members. To redeem your points check out the rewards catalog on thestash.zumiez.com. 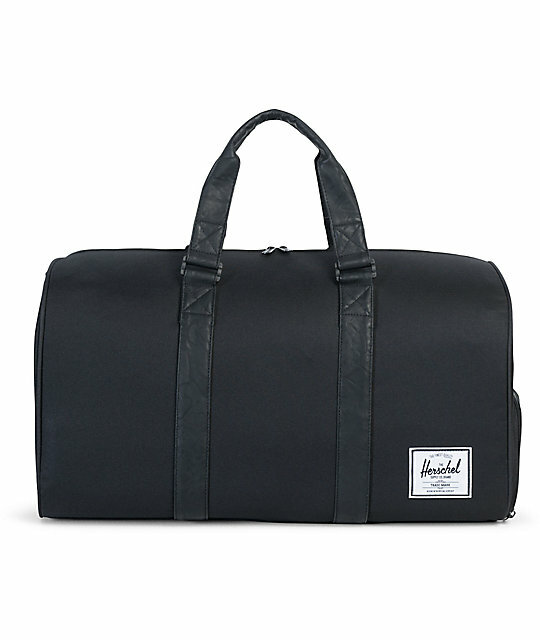 The Novel Black and Black Synthetic Leather duffle bag from Herschel Supply Co. has everything you need to make your next trip much more convenient. 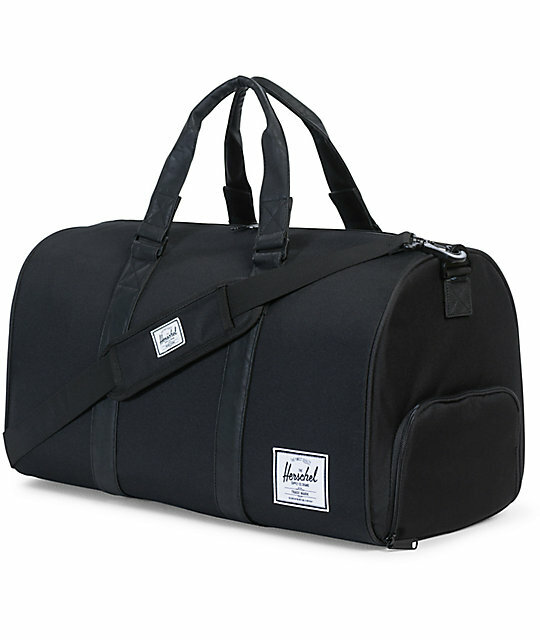 This duffle bag comes in a solid black canvas construction that is accented with black synthetic leather carrying straps and a removable shoulder strap for easy carry. The large size storage compartment is fully lined with the Herschel signature striped liner and offers a 42.5 liter volume carrying capacity with an internal mesh pocket to keep things organized. At the side of this Herschel Supply duffle there is a dedicated shoe compartment so you can keep those dirty shoes separated from your clothing and other items. Limited Lifetime Warranty that covers defects in Materials and Workmanship. 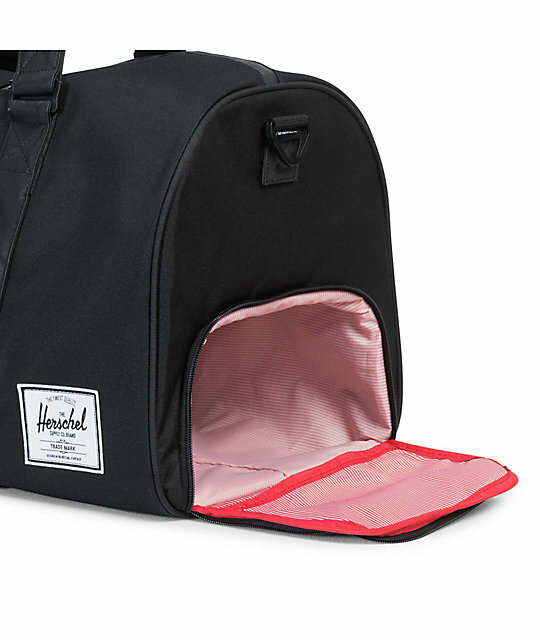 Large main storage compartment with signature coated cotton-poly fabric lining. Signature shoe compartment at side. Synthetic leather reinforced and articulated carrying handles. Removable webbed shoulder strap for easy carry. Dimensions: 11.5" (29cm) (H) x 20.5" (52cm) (W) x 11" (28cm) (D). 42.5 liter volume carry capacity.